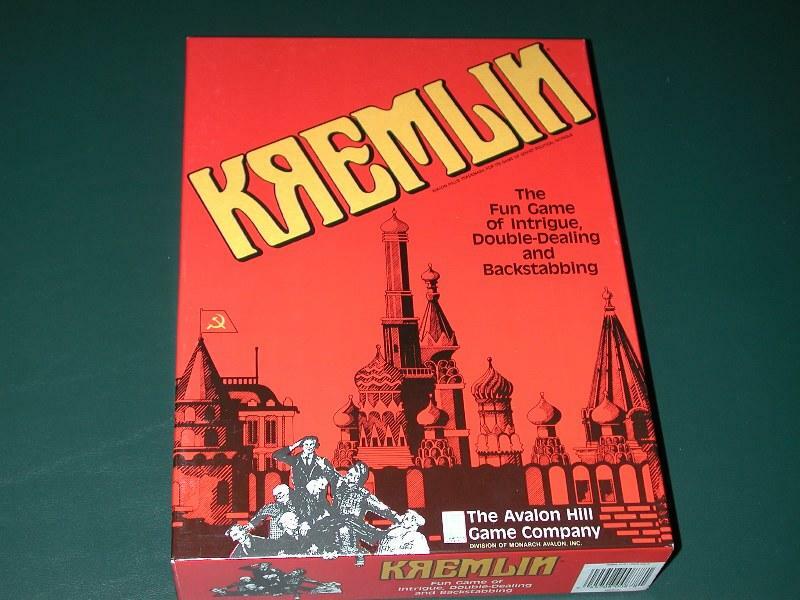 Avalon Hill's Kremlin has a special place in our GLG hearts. It is a game that we've played over the years with great enjoyment and high drama. The game is tactically and strategically challenging and incredibly interactive. On the game's box it says, "The Fun Game of Intrigue, Double-Dealing, and Backstabbing" and "Game of One Hilarious Purge After Another" which we concur. The game also lends itself to wonderfully "bad Russian accents" with plenty of opportunity for toasting. 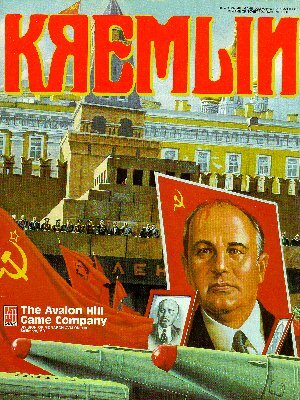 Since the unfortunate demise of The Avalon Hill Gaming Company, the game of Kremlin has fallen into the netherworld of the "out of print." The game deserves support as it is unique in it's approach to Soviet politics and the theme is now truly part of history. This page will gather together all that we have and know about this classic strategy game and do our little part in keeping it alive. Enjoy.